On 10 July 2017, Mordechai Vanunu was given a two-month suspended jail sentence by Jerusalem Magistrate’s Court. Vanunu is a former nuclear technician at the Negev Nuclear Research Centre in Dimona, Israel, who served an 18-year prison sentence for revealing information about Israel’s atomic program in 1986. He was sentenced earlier this month for violating the conditions of his release from prison, having met with foreigners in recent years. After his release from jail in 2004, Israel banned Vanunu from travelling abroad or speaking with foreigners without approval, alleging he has more details to divulge on the Dimona atomic reactor. Billy Briggs has been to Jerusalem twice to interview Vanunu. In 2005, Vanunu was arrested three days after they met and charged with speaking to foreigners and violating the conditions of his parole. In 2009, Briggs visited Jerusalem with photographer Angie Catlin to meet with Vanunu again – to mark the fifth anniversary of his release from prison. The following interview was published by The Sydney Morning Herald on 11 April 2009. 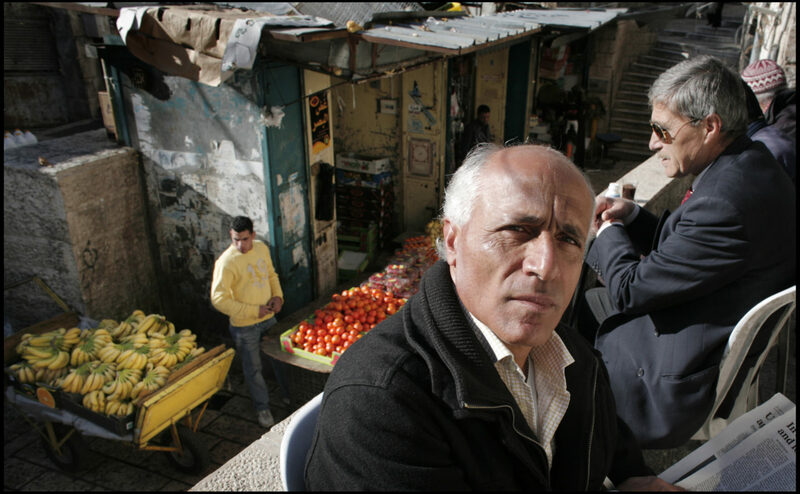 Mordechai Vanunu walks quickly down Salah Adin Street and crosses a main road before stopping outside a shop selling garish jewellery. It’s mid-afternoon on a sunny but chilly winter’s day in Jerusalem and rising above the cacophony of traffic, a hauntingly beautiful call to prayer can be heard drifting from the al Aqsa Mosque in the historic Old City. Vanunu stands and glances around nervously, as if someone is watching him. He steps aside for an elderly man wearing a black-and-white keffiyah who shuffles past to buy falafel from a cafe, then looks up towards windows across the street. He looks left and right again, scanning faces in the stream of people moving in either direction, then points to a white taxi driving up the street towards us. “I was walking here this morning and a car drew slowly up alongside me. There were four men in the car wearing sunglasses. One of them shouted at me but I kept my head down and kept walking,” he says, in broken English. A short, lean man who stands out from the mainly Arab crowds on this busy thoroughfare, Vanunu sets off up the street again at a march, whispering to me as we walk and occasionally looking over his shoulder. “The car followed me and I heard the man call out again in Hebrew. ‘You are garbage,’ he said. But I kept on walking and ignoring him,” Vanunu says. The men, in plain clothes, were from the Shin Bet, Israel’s internal security force. They followed Vanunu to the rundown hotel where he lives and just as he was about to enter the foyer they leapt from the vehicle and flashed their ID cards. As they ushered him into the back seat, startled local residents and shopkeepers, many of whom know the famous Israeli, stood and watched his public humiliation. “They (the policemen) took me to the local station and warned me not go to Bethlehem this year to celebrate Christmas. They said they’d be watching me and that I should also not speak to journalists or foreigners,” he says as we enter a cafe to talk quietly. It’s been almost five years since we met and Vanunu looks tanned and fit. He is 54, and looks as austere as before, with his chin held high and eyebrows furrowed to give a stern countenance. As we speak, he stares over my shoulder watching patrons and the cafe entrance, occasionally catching my eye when answering questions. This is a man who, briefly, was perhaps the most famous person in the world. Mordechai Vanunu, aka the Israeli nuclear whistleblower, the Jew turned Christian who caused a sensation when he informed the world through the Sunday Times in 1986 that his country was secretly building a nuclear arsenal. His revelation, he says, was to prevent a nuclear holocaust in the Middle East, but in leaking Israel’s national secrets he was branded a traitor and later sentenced to 18 years in prison. To this day, Israel still refuses to confirm or deny whether it possesses atomic bombs. For his sin against the state, Vanunu served the full sentence, spending 11 long years in solitary confinement. In the mould of other famous political prisoners of conscience such as Nelson Mandela and Aung San Suu Kyi, he became a symbolic figure for human rights activists around the world who argued he’d been persecuted by the Israeli government for merely alerting the world to its growing nuclear stockpile in the most volatile region on earth. Vanunu was released from prison on April 21, 2004, flashing victory signs to the world’s press as he walked into the courtyard of Shikma Prison in Ashkelon. He told journalists that he planned to move to the US to get married and teach history and defiantly stated that he had no regrets. “You (Israel) didn’t succeed to break me, you didn’t succeed to make me crazy. All those who are standing behind me, supporting me all are heroes I am a symbol of the will of freedom you cannot break the human spirit. I am now ready to start my life again,” he said. 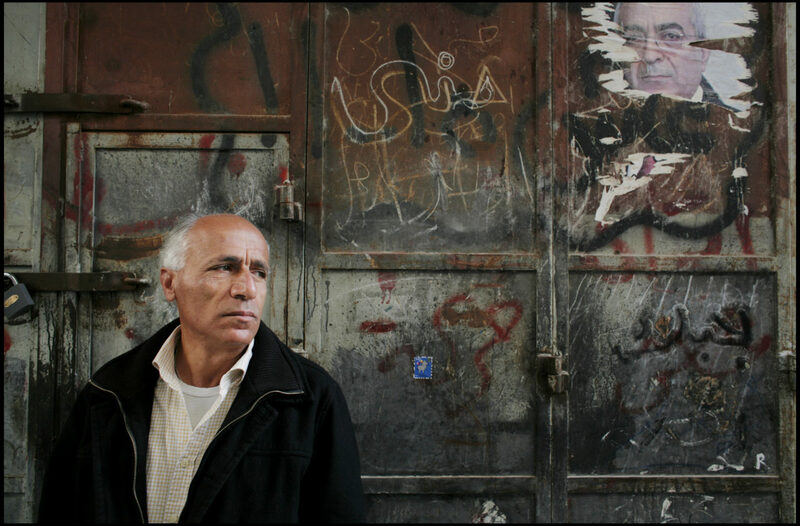 But as the fifth anniversary of Vanunu’s release from prison approaches, he remains captive inside Israel. Under the ever watchful eye of the Shin Bet, his movements are restricted and the freedom he desperately craves is still on hold. Moreover, as the world forgets his plight, Vanunu fears that he will shortly be sent back to prison. Vanunu’s remarkable tale has been well documented. He was born in Marrakech, Morocco, to a Jewish family. His father was a rabbi and in 1963, at the age of nine, the family emigrated to Israel under the law of return. He served in the Israel Defence Force and studied geography, philosophy, maths and physics at Ben Gurion University. It was there Vanunu began to feel sympathy for Palestinians. For the first time he questioned Judaism and Israel’s politics and started a student organisation to promote equal rights. Despite his leftist politics he was later cleared to work at a secret underground weapons facility at the Dimona nuclear plant in the Negev desert in southern Israel. He was employed there from 1976 to 1985 processing plutonium for nuclear bombs, but became alarmed when the facility started using Lithium Six, a chemical element used for hydrogen bombs. “I was terrified at what Israel was capable of and felt that I had to prevent a nuclear holocaust in the Middle East. I took 60 pictures of the processing plant then I left Israel in 1986 and went to Australia,” he says. 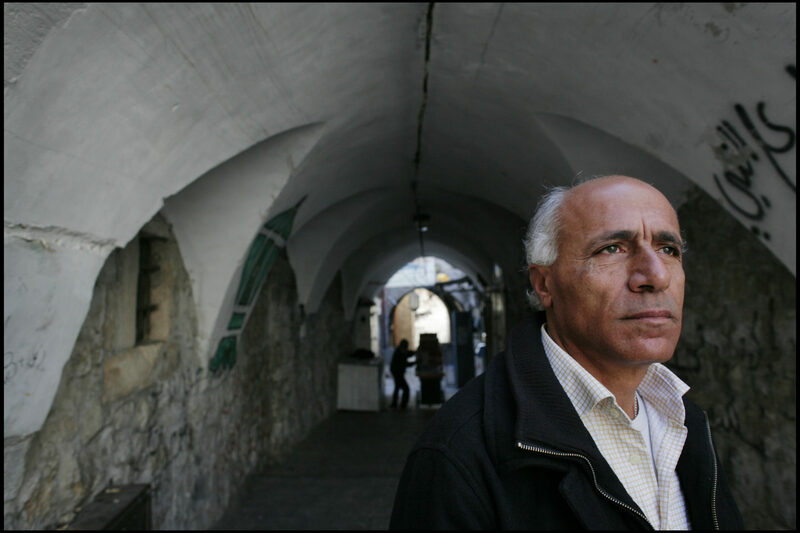 Leaving Israel and his family was an excruciating decision for Vanunu. He knew his life and freedom were at risk but 23 years later he believes he chose the right path. He moved to Sydney via Nepal and lived in a Kings Cross hostel, working as a hotel dishwasher and later as a taxi driver. 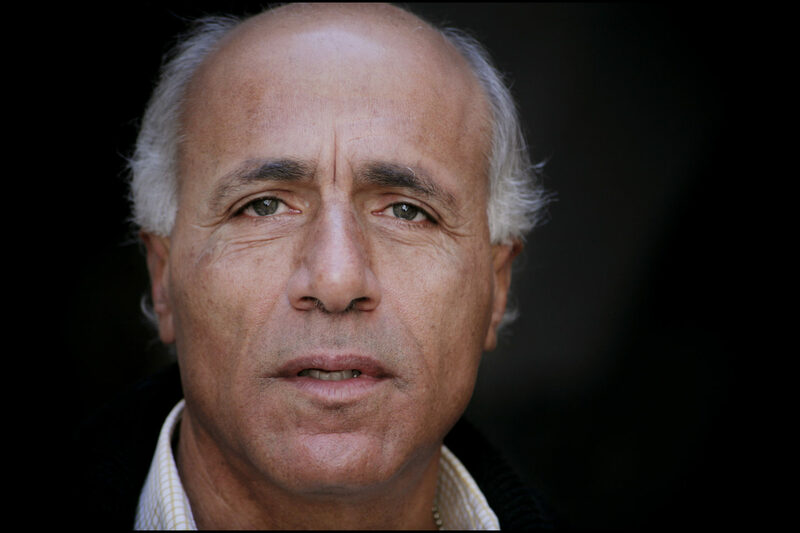 Vanunu converted to Christianity and was baptised into the Anglican Church. While in Sydney, he met Peter Hounam, a journalist with the Sunday Times newspaper in Britain. In early September 1986, Vanunu flew to London with Hounam, and in violation of his non-disclosure agreement, revealed his knowledge of the Israeli nuclear program, including photographs he had secretly taken at the Dimona site. Frustrated by the delay while the Sunday Times was checking the veracity of his claims, Vanunu approached the Sunday Mirror with his tale. It was a move that proved disastrous as it’s since been alleged that the late Robert Maxwell, the Jewish owner of the title, tipped off Mossad that the Dimona technician was in town. All this took place nearly a quarter of a century ago but Vanunu’s memories are vivid. He finishes his coffee and we leave the cafe to walk to a nearby Muslim cemetery overlooking the eastern part of the Old City. En route, we pass the spot where he’d been accosted earlier in the day by detectives, beside the shabby hotel where he’s lived for the past 18 months. He declines to show me where he stays and seems embarrassed when he explains that he has no income and must rely on charity from supporters. Vanunu seems jaded and downbeat compared to the last time we’d met. That was on 16 March 2005, 11 months after his release from prison. I interviewed him at the famous American Colony Hotel in East Jerusalem, not far from where we are today. On being released in 2004, Israel had placed restrictions upon Vanunu. He is not allowed to meet foreigners, nor contact them by phone or email, enter or approach any embassy, visit any port of entry, or come within 500 metres of any international border crossing. But 18 years behind bars had not diminished his sense of injustice, so in defiance Vanunu had spoken to a number of journalists insisting that he had served his time and should be allowed to leave Israel. At the very least, he argued, he should have the basic right of freedom of speech and although he knew he was provoking Israel’s ire he agreed to meet me. Vanunu remembers our meeting well. He was uneasy that day, too, and warned that the Shin Bet could be watching us. His fears proved well founded. Three days later he was arrested and charged with 21 parole violations by speaking with foreigners and of trying to leave Israel. He faced the possibility of two years’ jail. In July 2007 Vanunu was found guilty and sentenced to six months in prison. He appealed, citing his right to freedom of speech, and last September Jerusalem’s District Court reduced his sentence to three months. Vanunu appealed again and a final ruling from the Supreme Court is imminent. “It will be very bad if I have to go back to prison. The court offered me six months’ community service in West Jerusalem but I refused I am viewed as an enemy of the state by many Israelis so I would not be safe in the Israeli part of the city,” he says. Vanunu genuinely fears for his life. He knows he is being watched and says he has a feeling that something will happen to him at some point. He is completely alienated from his large orthodox Jewish family in Tel Aviv parents and five brothers and five sisters apart from one brother who visits occasionally. Journalists have stopped coming, and he explains that he told campaigners in the US and Britain that he no longer needs their support, expressing dismay their efforts had not ended his isolation. 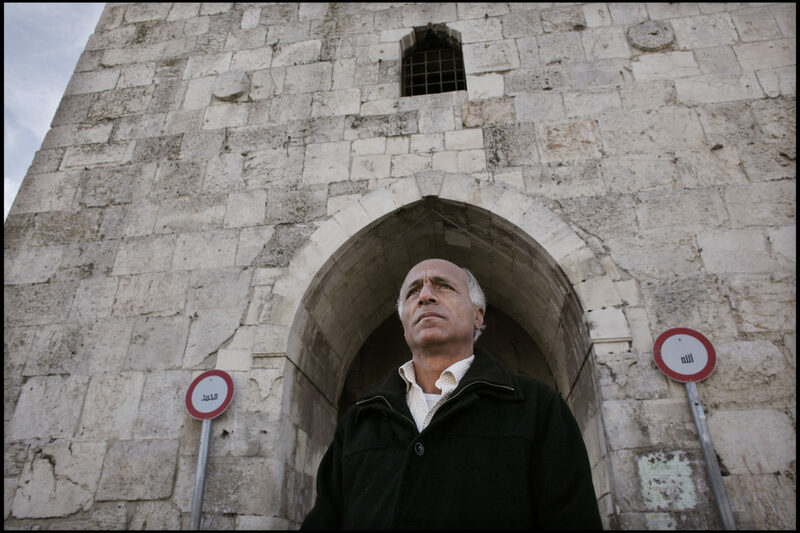 East Jerusalem is Vanunu’s new prison. Every day he walks from his hotel to the Wall in Bethlehem, then to the Wall at Ramallah. “After nearly five years I know every single part of East Jerusalem and my cage is becoming smaller all the time,” he says. So why not bite the bullet and stay quiet for a period in the hope that Israel may let you leave? “They will never stop me thinking or speaking about what I believe in. Freedom of speech is part of being a human being. If you are not free to speak then you are not a human being,” he says. Israel’s hardline attitude to Vanunu has been roundly condemned for years. His more famous supporters include, among others, Bishop Desmond Tutu, Noam Chomsky and the late Harold Pinter who won the Nobel Peace Prize for Literature. Vanunu was nominated for the Nobel Peace Prize every year from 1988 to 2004. Amnesty International considers him to be a prisoner of conscience and has for many years called for his unconditional release. “Israel is bound by international law not to impose arbitrary restrictions on Vanunu, including on his right to travel within the country or abroad, his right to peaceful association with others and his right to express his opinions,” Amnesty International said after his latest conviction. But there are others who argue that Israel’s treatment of Vanunu has been appropriate in light of the gravity of his actions. Ezra Golombok, of the Israel Information Office in the UK, says Vanunu’s revelations resulted in three people being murdered by Palestinian terrorists in 1988. “The information he made public concerned the activity at the site, the security arrangements for the reactor, procedures for hiring personnel, the routes that employees took to work and the exact place where workers were picked up by buses. The details he chose to reveal had the effect of setting up the reactor and its workers for military or terrorist attack,” he says. Golombok says the security details he revealed had no connection to his “claimed anti-nuclear objectives” and Vanunu was tried not for his anti-nuclear views or actions, but for violating sections of the Israel Penal Law. A couple of days later I meet Vanunu for a meal. Tonight he seems more relaxed and sanguine and talks about writing his autobiography and how he wants to travel the world when he finally leaves Israel. He says that one day he’d like to meet his “honey trap”, Cindy, to have a coffee and to chat about how their lives turned out. He bears no grudges, he says, despite her deceit. At one point he even breaks into a smile. Vanunu’s conviction has returned, his resolve and determination evident once more. But suspicion remains and every time someone comes in his eyes dart nervously to the door. “They could be here watching us now they could be right here in this restaurant,” he says softly. This story was published by The Sydney Morning Herald on 11 April 2009. A longer version was also published by The Herald Magazine.